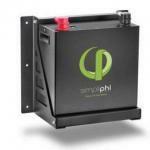 The OutBack GTFX and GVFX export 50 Hz grid-tie inverters can be used in countries with 230 V 50 Hz grids. As with the other OutBack inverters, the "T" models have a sealed chassis and an external cooling fan, and the "V" models have a fan-cooled, vented chassis. These inverters can be stacked in parallel for greater output, and also in 230/400 VAC three phase. CE listed. The OutBack GFX International Series grid-tie inverters are designed for use in countries that have utility grids that frequently experience power instability such as surges, spikes, or brownouts; or where standard inverters have trouble syncing to the utility grid. The GFX International Series grid-reconnect timers have been shortened to reduce overall sell-back downtime and improve system functionality. Otherwise, the International Series inverters are similar to other OutBack GFX models, but without an exterior cooling fan. The built-in transfer relay automatically disconnects your loads from the utility grid and powers them from the inverter in the event of an outage, allowing you to continue using your solar and battery back-up power. They have a sealed chassis that can operate in the harshest environmental conditions such as high humidity and corrosive salt air. 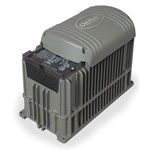 Models are available for areas with nominal AC voltages of 230 VAC/50Hz, and for areas with 120 VAC/60Hz. DC cover included. 5-year warranty. 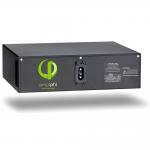 NOTE: OutBack GFX International Series inverters are NOT ETL Listed to UL 1741. NOT intended for use in the U.S. or Canada.